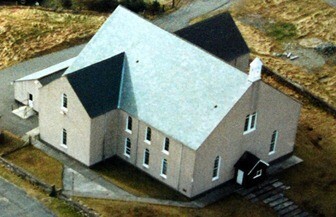 Garrabost Free Church is a congregation of the Free Church of Scotland , a Presbyterian denomination with congregations throughout Scotland, as well in England North America. We are situated in the Eye Peninsula, also known as Point, in the island of Lewis, Scotland, the largest of the islands making up the Western Isles, or Eileanan Siar . These islands are the most westerly part of Scotland and are famed for their natural beauty with unspoilt beaches, moorland and lochs. As a congregation of the Free Church of Scotland we are committed to the Reformed faith, with the Westminster Confession of Faith as our confessional standard. We hope that you will derive much benefit from using our website. We are passionate about working together in gospel service and are to emphasise this we have recently reunited the 2 Free Church congregations of Knock and Point into one consolidated charge. 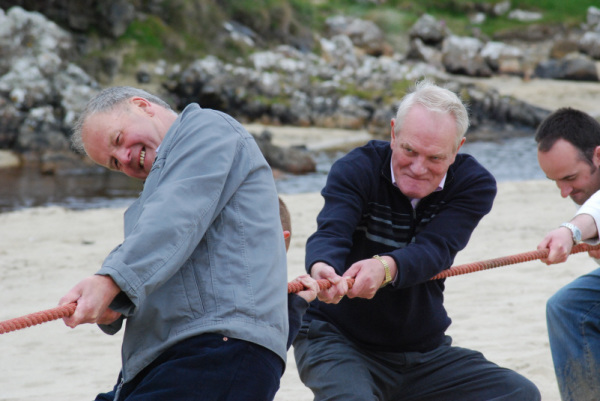 As you can see from our website we take an integrated approach to the work of the congregation, involving all ages from the youngest children through to mature adults. Our Sunday School is held every Lord's Day from 12.15 to 1-15 during the morning service and is for children aged 5-14. Point 2 Life is a regular youth meeting for ages 13-18, meeting at Aird Community Centre. This also involves other local churches. The ABC Club, held in the local school, is a weekly children's club for younger children. All these meetings are held during school term times. We also host a weekly Parent and Toddler meeting in the main road church hall during school term times. Our women hold regular Women For Mission meetings which is linked with the Free Church of Scotland's Women For Mission movement.